We are canadians looking to invest in the vacation home market in the Orlando area, however property taxes levied on non-residents are said to be out of this world. Is this true? Just to clarify – I believe that the 10% Foreign Investor Tax that Linda refers to below is actually a temporary withholding (generally known as “FIRPTA”) rather than a tax. Once your final IRS calculation is done, post-sale, the 10% is returned to you LESS any tax actually due. So if you made no “profit” according to the IRS basis of calculation, you would receive a full refund – as is likely to be the case with many overseas holiday home (i.e. non resident) buyers who sell now after purchasing at the price peak a couple of years ago. As ever, though, you are strongly recommended to speak to a professional tax guy (rather than a Realtor) when you get into this more complex stuff. As a UK accountant, I can honestly say that I use a CPA for US tax advice, just because of the sheer befuddlement of the US tax system. This is only one of many questions we’ve answered about Florida property. 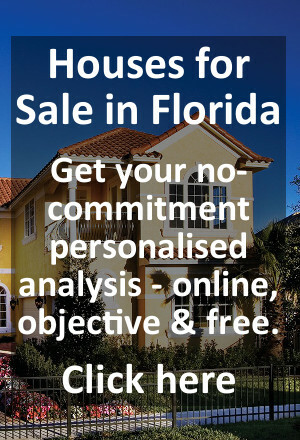 For free help and guidance tailored to your own individual plans relating to Florida real estate, please visit our Florida property website.